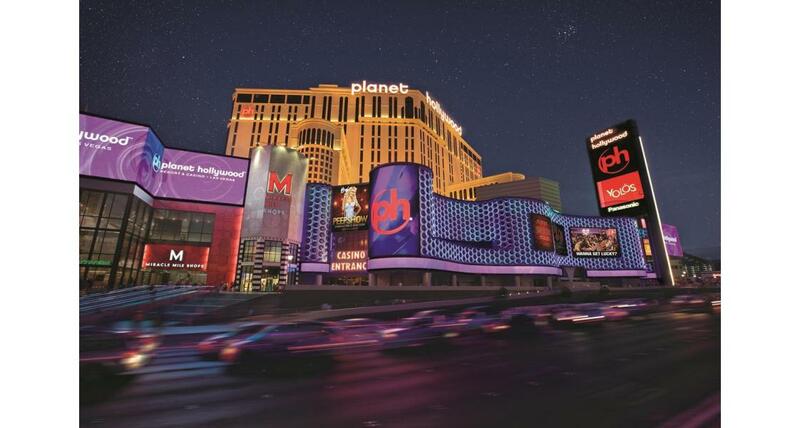 Planet Hollywood Resort and Casino offers the glamour of Hollywood in the middle of the Las Vegas Strip. 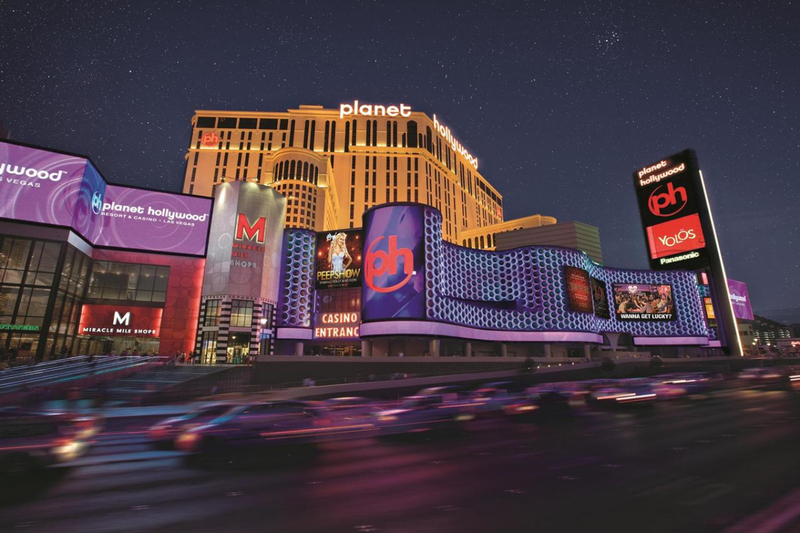 Boasting more than 130,000-square-feet of gaming action, the Planet's newly designed casino features slot machines, a poker room that deals a variety of poker classics, table games, the new Blue Moon bar and the Extra Lounge Las Vegas. The casino is not the only feature that underwent renovation. Planet Hollywood is the home of Cafe Hollywood, an eclectic cafe open 24 hours a day. Strip House serving traditional steaks and the unique flavors of Mexican food at Yolo's. Gordon Ramsay Burger Las Vegas and the renowned Japanese dining experience of Koi. The Earl of Sandwich serves an extensive menu of upscale sandwiches. Also at Planet Hollywood are the favorites P.F. Chang's China Bistro and the Spice Market Buffet. Just off the casino floor lies the Miracle Mile Shops, the 450,000-square-foot shopping mall featuring retail boutiques and restaurants. Upstairs, you'll find more than 2,450 "biggie-sized" guest rooms, featuring marble bathrooms and spacious tubs, high-speed Internet access and cordless, dual-line phones; two sixth-floor terrace swimming pools overlooking the Strip; and the second-floor Planet Hollywood Spa by Mandara, with 40 treatment rooms, six multiple-therapy couples suites, massage, stress relief and detox treatments, a full-service hair and nail salon, and fitness center.